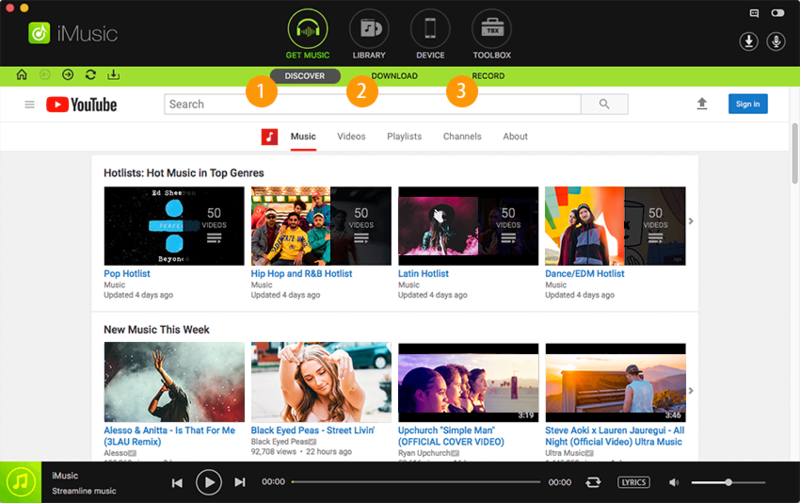 Spotify is a very popular media service platform and many music lovers like listening to music with it. There are lots of Spotify discount for the users. So how may do you know about these Spotify discount? Don't worry, because Spotify knows the overall user trends and therefore they always come up with the discounts that are the best for the users to get attracted and buy their premium plans. There are very limited offers available on the official website if you want to get more discount and coupons. You need to visit other coupon sharing websites or discount websites to grab these offers. As it has been mentioned there is a long list of discounts and the campaigns that are being run by the Spotify. Even at the time of writing this article some great plans are available from Spotify. However it is not possible to list all these discounts here because spogify is providing a lot discounts. So here we are going tell you about some top discounts only which are really very useful for the user. The top discounts that are enjoyed by the users we are going to sharing them with you with complete description about the plan Following is the list in this regard that has been complied to get the best for the users. Trial version discount is very common and this is available for all the users who are going to sign up first on the official website of Spotify. To avail this discount you just need to sign up of Spotify and click on the upgrade then enter your payment details. But don’t worry Spotify will never deduct payment from your account for 30 days. This account same as the premium account but you cannot get quality audio and not able to download songs from the website for offline listening. If you like you can upgrade you plan anytime to the paid plan. Then you can enjoy all Spotify services properly. This discount is valid only for the new users of the Spotify website. Once you trial period of 30 days is finished then Spotify will deduct monthly subscription fee for the next month. If you have already subscribed and used free 30 days trial plan then you are not eligible for this trial plan. If you are a android user then you need to update your app to version 2.0 to avail this offer and there are some bug fixed in the version. Free 60 days trial plan is available only for the new users who are using android device. Spotify is offering discount for the students also. Student discount offer is made of specially students. This discount allow student to enjoy premium Spotify services at 4.99$ monthly only. 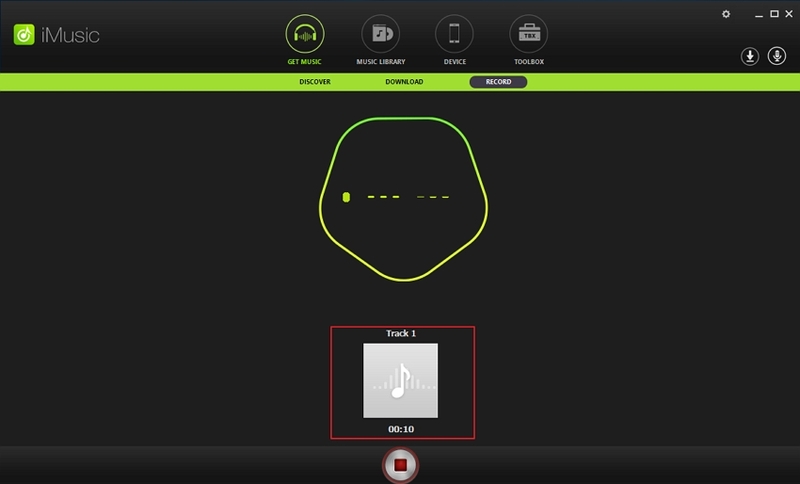 This discount allow student to listen more than 18 million sound tracks just like the premium version. This discount avail students to use spotfiy 100% premium service at 50% discount. You can listen your songs any device such as iphone, android or your computer or you can download songs from Spotify also to listen offline completely like premium user. But you need to show a valid proof that you are student such as your college id. We have good news for the people who were using grooveshark before. Spotify is providing a great plan for those people. 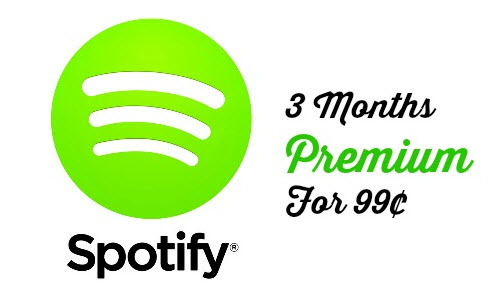 If you are living in the USA an you have never subscribed for the paid services of Spotify then Spotify is giving you three month premium plan only for 0.99$ which usually costs 9.99$ per month. For this same plan Spotify is charging 0.99$ for three month instead of 9.99$ per month. But if you have already used this deal then you have to pay normal payment of Spotify plan or if you have used any additional discount then also you can’t use it. If you are upgrading your free plan to this one then you will able to listen your favorite tracks without any advertisement and higher bitrates also. 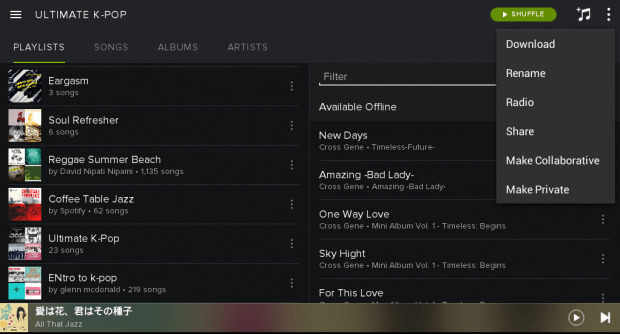 Even it will allow you to listen your music on your computer or mobile in the offline mode also in just 0.99$ for three month. This discount is known as trial discount also. 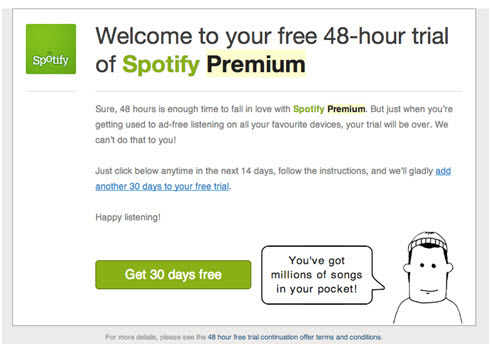 Spotify just give a different name to their trial plan. So it is just same as the trial plan you will automatically get this plan when you will sign for first time for Spotify. This plan is valid for 30 days for premium services. You will receive all premium services for the next 30 days from the date of sign up for free as a trial. To activate this plan Spotify will ask you to enter you payment details and you need to upgrade your account. But they will not deduct anything from your credit card or debit card till next 30 days from the date of activation. But if you don’t’ want to buy premium plan then you must cancel you Spotify before the last day because if you will not cancel then it will automatically convert you plan to the paid plan and deduct payment for the next month from your card. This offer allows the user to get the discount above the premium plan without any issue and for the next 3 months the user can enjoy the premium for just $1 per month without paying premium plan payment. This discount is available for the new user only who sign up first time and want to enjoy premium services of Spotify. You can enjoy this discount up to 90 days. After 90 day you have to buy premium plan or if you don’t want to buy premium plan the you need to cancel your subscription otherwise your account will automatically convert to the premium plan and it will charge 9.99$ usual payment to you. So if you don’t want to use this plan anymore as premium then cancel your subscription before the last date of your trial as premium plan. How-to > Streaming Music Services & Sites Tips > How Many Do You Know about These Spotify Discount?